Can Hoodoba® Hoodia Help Consumers Lose Weight by Spring Break? Hoodia gordonii's effectiveness as an appetite suppressant spans thousands of years, but can it promote weight loss in less than a month? With spring break fast approaching, the last few days have brought an influx of emails from consumers wondering if Hoodoba® brand Hoodia products can stimulate weight loss by the middle of March. In response to this pressing concern, Hoodoba® explains how one can lose weight with Hoodia diet pills and liquid Hoodia extracts by spring break. Hoodoba® was the first brand to bring pure Hoodia diet pills to the US. Taking Hoodia can drastically reduce appetite and prevent hunger cravings – this means people eat less and lose weight. Hoodia is a great choice for anyone hoping to lose weight by spring break. As winter comes to a close and flowers begin to blossom, many people suddenly become concerned about the appearance of their figures. Along with the spring season comes hotter weather, skin bearing garments and sometimes even swimsuits. With spring break just around the corner, Hoodoba® has received a vast number of emails over the past few days from individuals questioning if Hoodia can help them lose weight by spring break. Hoodoba® explains that by taking Hoodia to suppress the appetite, one can decrease their caloric intake by as many as 1,000 calories a day – this means weight loss with Hoodia can be possible in only a few weeks. "Every year as the weather starts to warm up we receive a large number of emails from consumers wondering if Hoodoba® Pure Hoodia Diet Pills and Hoodoba® Maximum Strength Liquid Hoodia Extract can help them lose weight quickly," says Larry Anderson, Hoodoba® CEO. "Taking Hoodia can drastically reduce appetite and prevent hunger cravings – this means people eat less and lose weight. Hoodia is a great choice for anyone hoping to lose weight by spring break." Hoodoba® Pure Hoodia Diet Pills and Hoodoba® Maximum Strength Liquid Hoodia Extract are made with 100% pure wild-crafted Hoodia gordonii from South Africa. This is the same Hoodia that the San natives have consumed for thousands of years to eliminate both food and water cravings during long hunting trips where food and water were likely to be scarce. By taking this wild-crafted Hoodia, individuals trying to lose weight typically shed between three and five pounds per week. Editor's Notes: Hoodoba® is the leading provider of Hoodia gordonii products that suppress the appetite and promote weight loss. 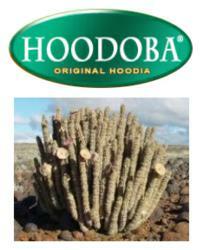 Hoodoba® was launched in 2002 and is the first company to introduce pure Hoodia into the United States.